Women There are 356 products. 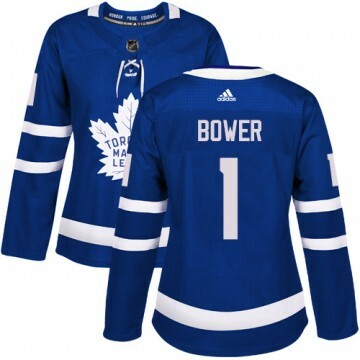 Let everyone know you're the #1 Toronto Maple Leafs fan when you sport this Authentic Adidas Women's Connor Brown Toronto Maple Leafs Home Jersey - Royal Blue! 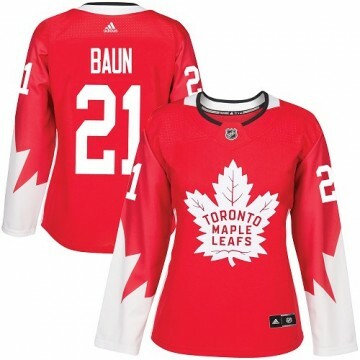 The perfect complement to your Toronto Maple Leafs wardrobe, this jersey is sure to turn heads. Let everyone know you're the #1 Toronto Maple Leafs fan when you sport this Authentic Adidas Women's Custom Toronto Maple Leafs Alternate Jersey - Red! 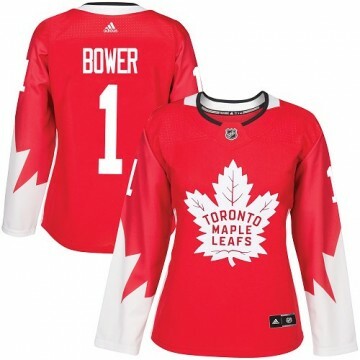 The perfect complement to your Toronto Maple Leafs wardrobe, this jersey is sure to turn heads. Let everyone know you're the #1 Toronto Maple Leafs fan when you sport this Authentic Adidas Women's Custom Toronto Maple Leafs Home Jersey - Royal Blue! The perfect complement to your Toronto Maple Leafs wardrobe, this jersey is sure to turn heads. Let everyone know you're the #1 Toronto Maple Leafs fan when you sport this Authentic Adidas Women's Darcy Tucker Toronto Maple Leafs Alternate Jersey - Red! The perfect complement to your Toronto Maple Leafs wardrobe, this jersey is sure to turn heads. Let everyone know you're the #1 Toronto Maple Leafs fan when you sport this Authentic Adidas Women's Darcy Tucker Toronto Maple Leafs Home Jersey - Royal Blue! The perfect complement to your Toronto Maple Leafs wardrobe, this jersey is sure to turn heads. Let everyone know you're the #1 Toronto Maple Leafs fan when you sport this Authentic Adidas Women's Darryl Sittler Toronto Maple Leafs Alternate Jersey - Red! The perfect complement to your Toronto Maple Leafs wardrobe, this jersey is sure to turn heads. Let everyone know you're the #1 Toronto Maple Leafs fan when you sport this Authentic Adidas Women's Darryl Sittler Toronto Maple Leafs Home Jersey - Royal Blue! The perfect complement to your Toronto Maple Leafs wardrobe, this jersey is sure to turn heads. Let everyone know you're the #1 Toronto Maple Leafs fan when you sport this Authentic Adidas Women's Dave Keon Toronto Maple Leafs Alternate Jersey - Red! The perfect complement to your Toronto Maple Leafs wardrobe, this jersey is sure to turn heads. Let everyone know you're the #1 Toronto Maple Leafs fan when you sport this Authentic Adidas Women's Dave Keon Toronto Maple Leafs Home Jersey - Royal Blue! The perfect complement to your Toronto Maple Leafs wardrobe, this jersey is sure to turn heads. Let everyone know you're the #1 Toronto Maple Leafs fan when you sport this Authentic Adidas Women's Felix Potvin Toronto Maple Leafs Alternate Jersey - Red! The perfect complement to your Toronto Maple Leafs wardrobe, this jersey is sure to turn heads. Let everyone know you're the #1 Toronto Maple Leafs fan when you sport this Authentic Adidas Women's Felix Potvin Toronto Maple Leafs Home Jersey - Royal Blue! The perfect complement to your Toronto Maple Leafs wardrobe, this jersey is sure to turn heads. Let everyone know you're the #1 Toronto Maple Leafs fan when you sport this Authentic Adidas Women's Frederik Gauthier Toronto Maple Leafs Alternate Jersey - Red! The perfect complement to your Toronto Maple Leafs wardrobe, this jersey is sure to turn heads. Let everyone know you're the #1 Toronto Maple Leafs fan when you sport this Authentic Adidas Women's Frederik Gauthier Toronto Maple Leafs Home Jersey - Royal Blue! The perfect complement to your Toronto Maple Leafs wardrobe, this jersey is sure to turn heads. Let everyone know you're the #1 Toronto Maple Leafs fan when you sport this Authentic Adidas Women's Kasperi Kapanen Toronto Maple Leafs Alternate Jersey - Red! The perfect complement to your Toronto Maple Leafs wardrobe, this jersey is sure to turn heads. Let everyone know you're the #1 Toronto Maple Leafs fan when you sport this Authentic Adidas Women's Kasperi Kapanen Toronto Maple Leafs Home Jersey - Royal Blue! The perfect complement to your Toronto Maple Leafs wardrobe, this jersey is sure to turn heads. Let everyone know you're the #1 Toronto Maple Leafs fan when you sport this Authentic Adidas Women's Mats Sundin Toronto Maple Leafs Alternate Jersey - Red! The perfect complement to your Toronto Maple Leafs wardrobe, this jersey is sure to turn heads. Let everyone know you're the #1 Toronto Maple Leafs fan when you sport this Authentic Adidas Women's Mats Sundin Toronto Maple Leafs Home Jersey - Royal Blue! The perfect complement to your Toronto Maple Leafs wardrobe, this jersey is sure to turn heads. Let everyone know you're the #1 Toronto Maple Leafs fan when you sport this Authentic Adidas Women's Mike Palmateer Toronto Maple Leafs Alternate Jersey - Red! The perfect complement to your Toronto Maple Leafs wardrobe, this jersey is sure to turn heads. Let everyone know you're the #1 Toronto Maple Leafs fan when you sport this Authentic Adidas Women's Mike Palmateer Toronto Maple Leafs Home Jersey - Royal Blue! The perfect complement to your Toronto Maple Leafs wardrobe, this jersey is sure to turn heads.